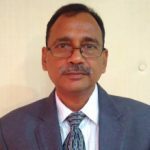 Satish Chandra Uniyal is a qualified HR Professional, heading Human Resource & Organisational Development function at HLFPPT. He possesses over 26 years of work experience in the field of Human Resource Management & Industrial Relations. His forte lies in Human Resource Management, Strategic Planning, Contract Labour Management, Safety, Health & Welfare and Legal & Administration. He is an innovative thinker with broad-based expertise in handling large teams and believes in team building & value-based culture. Prior to this, he has worked in various capacities with renowned organisations in the corporate sector including the Tata Group of Companies – Taj Services Ltd, CH2M Hill India Pvt Ltd, SPML, Varroc Polymers Pvt Ltd, etc.